Have a new Fan Center Honeywell R8239 A 1052? Not to sure if you resolved your wiring issue yet, but the attached schematic is on a Magic Chef Furnace Model EG6E80DC16. 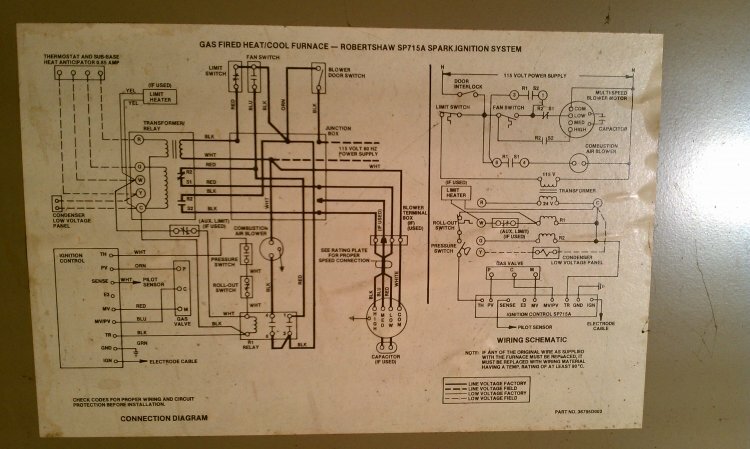 The Fan Center Honeywell R8239 you mention is compatible with this wiring diagram and this particular furnace as well. Hope this helps.